After five seasons, The Fosters wraps up with a three-night finale — and goes out with a big bash. A year has passed and the wedding of the oldest son, composer Brandon (David Lambert), and his musician fiancée, Eliza (Abigail Cowen), is weeks away. 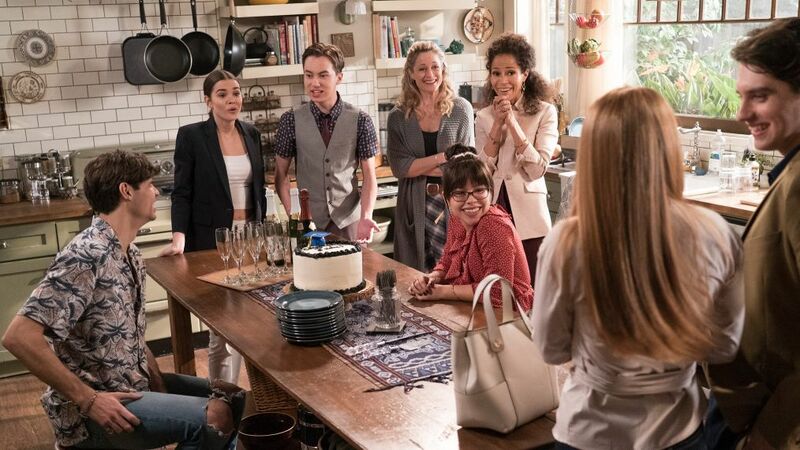 The blended family — UCLA student Jude (Hayden Byerly), recent grads Mariana (Cierra Ramirez), Callie (Maia Mitchell) and Jesus (Noah Centineo) and moms Lena (Sherri Saum) and Stef (Teri Polo) — will head to Turks and Caicos for the nuptials. Plus, find out who's directing the premiere episode. It won’t all be smooth sailing. “There are challenges that Eliza and Brandon start to face,” executive producer Joanna Johnson teases.